We are a company which is well known in the market for the supply of a wide range of Miners Head Lamp For Helmets which offers a high performance to the customers.They have been economically priced and are non-corrosive in nature. These products have been procured from reliable vendors in the market and they are widely used by the miners. They are fixed on the helmets for convenience. We are the long-time established manufacturer, distributor, importer and exporter of LED Head Lamp. - Nine LED Head Lamp without Helmet. 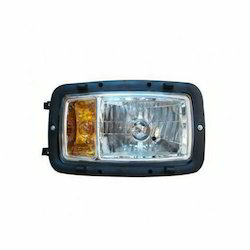 We Offer High Quality Of Head Lights/Lens. Eye catchy in look, these Head Lamps For Two Wheeler are made of durable material and remain sustained in rough weather conditions. These products are light in weight and durable in nature. Besides this, these products are quality inspected by professionals before bringing in market. 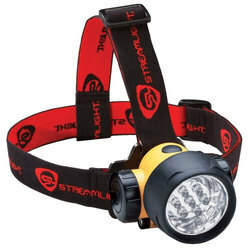 We are a well known supplier of a unique range of Combined Head Lamp. Our products are highly acclaimed among our customers due to the high quality. These products are available in a wide range of designs and sizes to suit the varied requirements of our customers. Years of understanding of this domain, has helped us in presenting our customers with the superior quality of Splendor Headlamp.